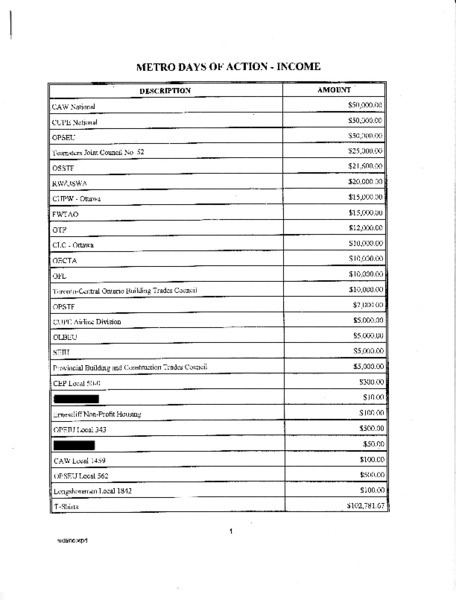 Itemized list of all of the income and expenditures for the Metro Days of Action. 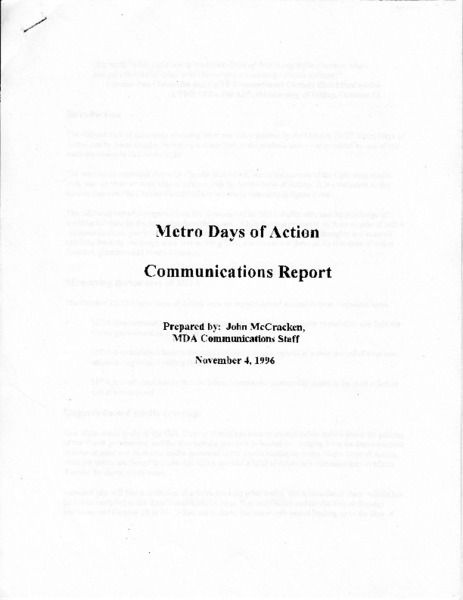 Survey of Media Coverage of Metro Days of Action by Bowdens. 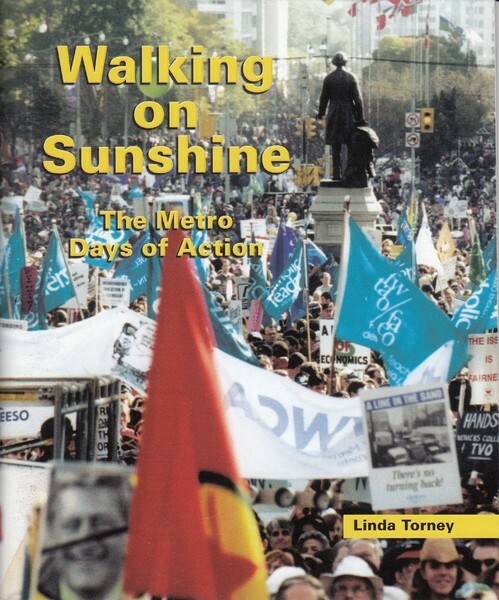 Photograph depicts the City of York-Etobicoke OSSTF members marching during the Day of Action. 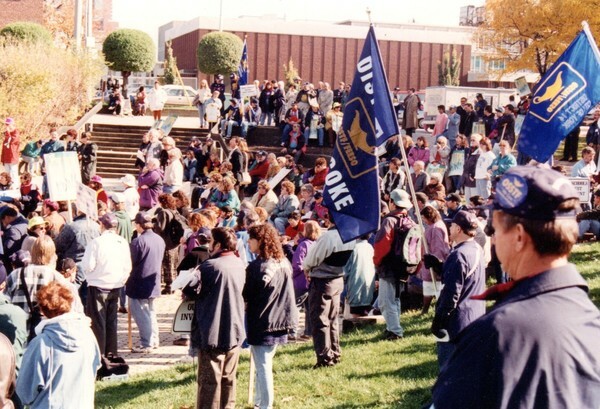 The Day of Action rally in Coronation Park even had entertainment! 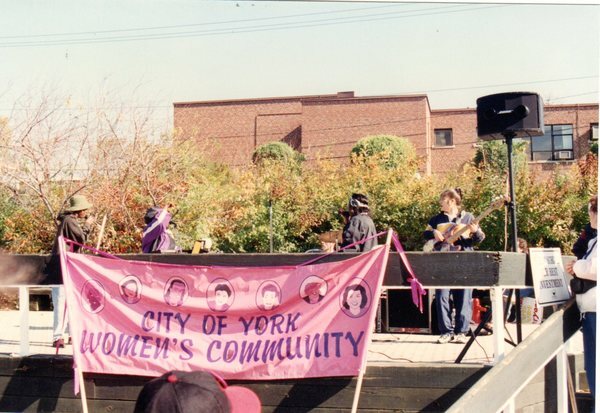 The photograph depicts musicians playing on a stage at the rally and a banner made by the City of York's Women's Community. 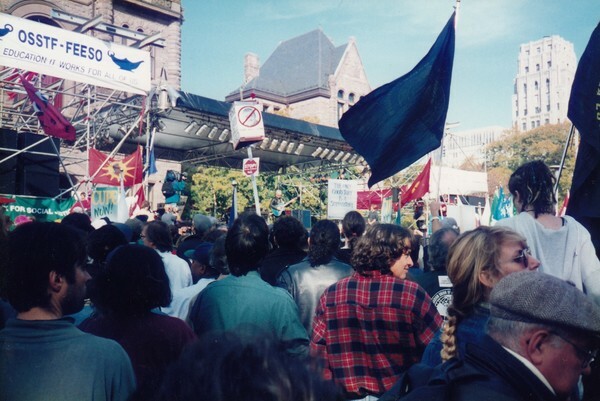 The protest march ended in a rally at Coronation Park which is behind the Old City Hall for the City of York. 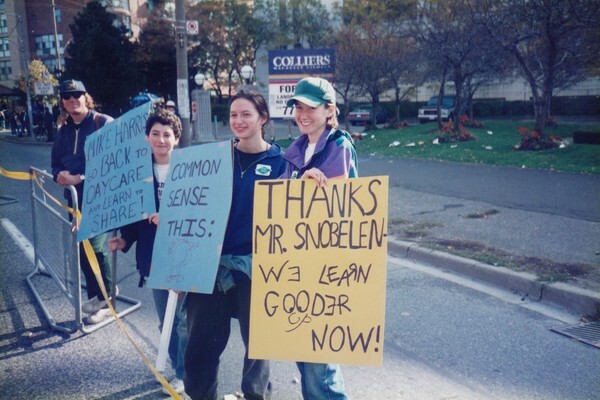 Depicted are Katie McGovern and Julia Barnett two prominent local labour leaders reassuring Toronto police. 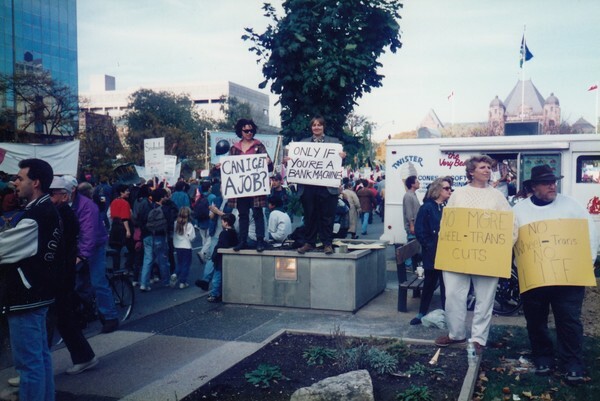 This image depicts Joan Roberts. 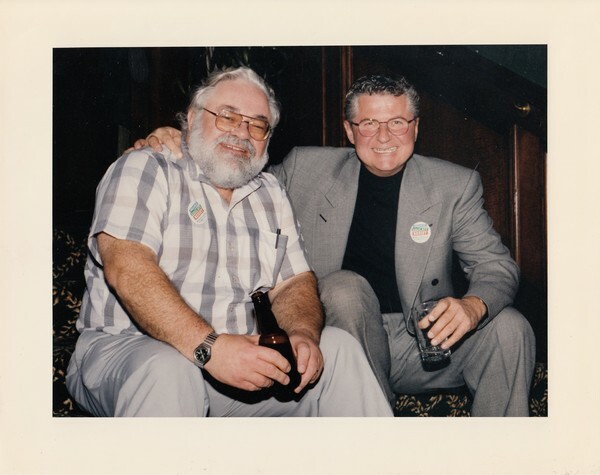 Joan was a Ward 4 councillor in the former City of York. 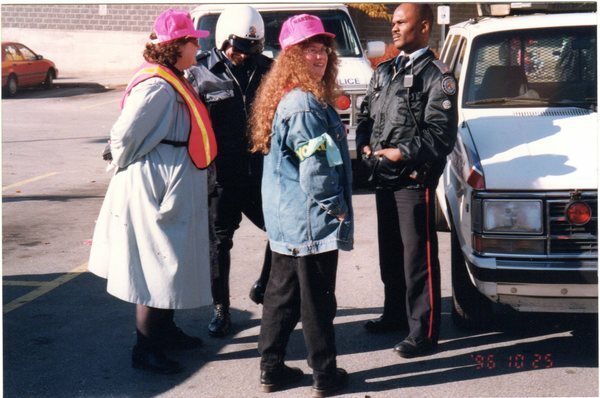 She was a principal organizer and marshall of the Day of Action City of York event. 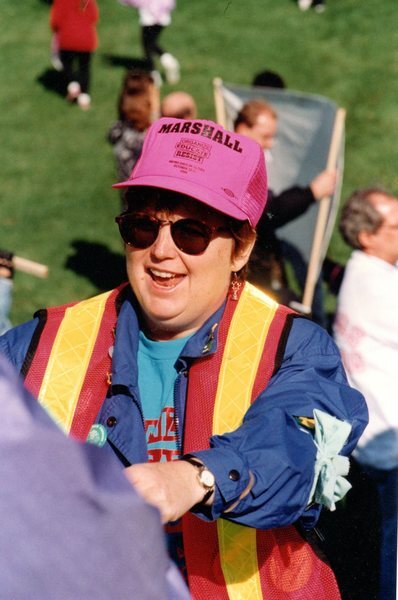 In this image, Joan is wearing a pink marshall's hat. 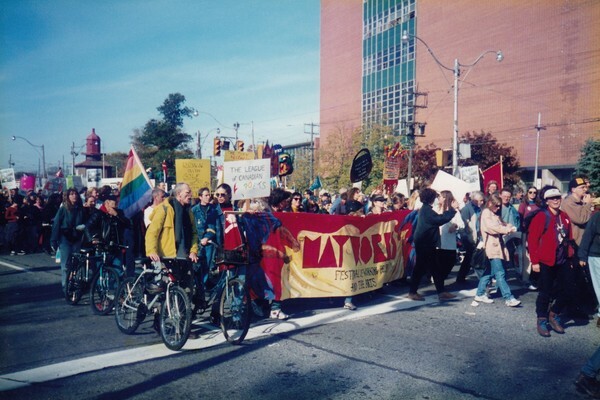 This photograph depicts the crowd marching up Keele St and past the historic spot on the west side of Keele Street. 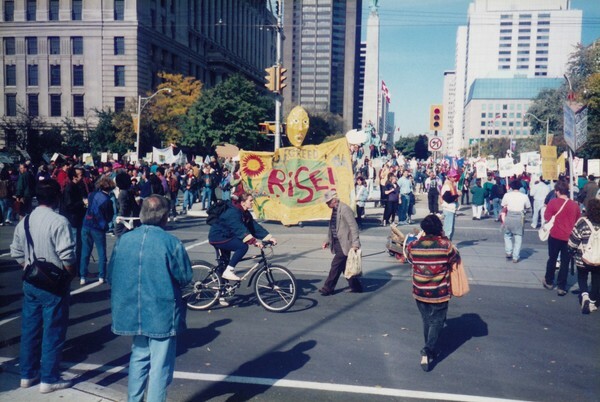 Photograph depicts the City Of York protest march for the Day of Action on October 25, 1996. 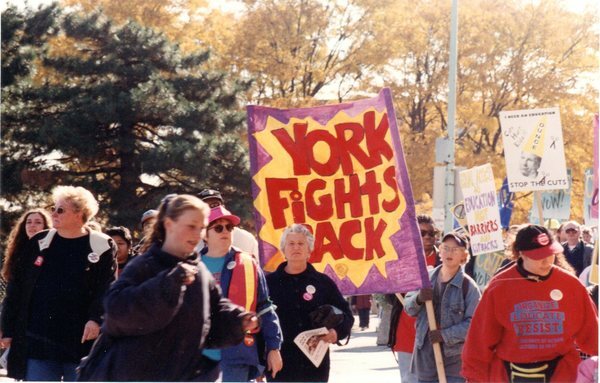 Image features Joan M. Roberts, the 'York Fights Back' banner, and the pink "City of York Women's Community" banner. 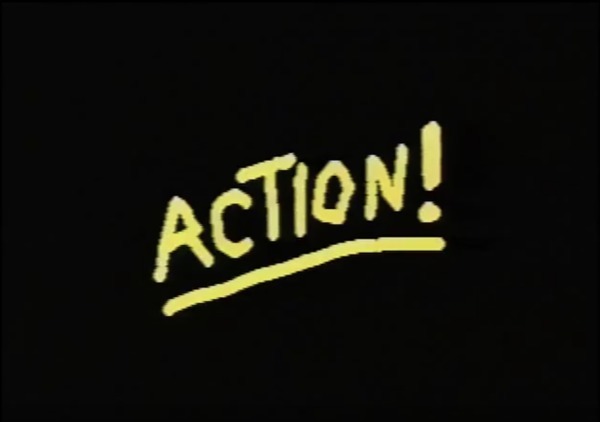 An activist video about the Metro Days of Action, which uses camcorder footage contributed by ten different participants. 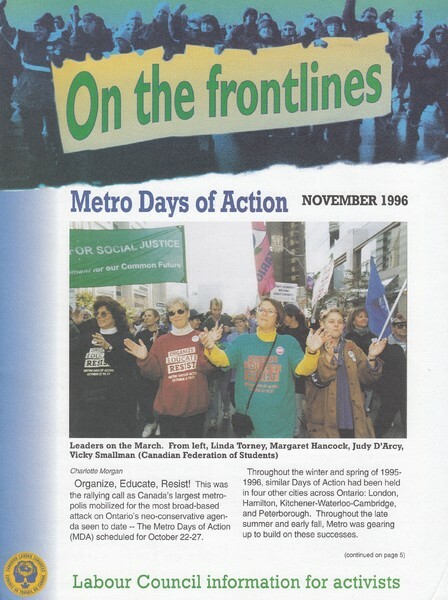 Photos taken at the end of the Metro Days of Action march. 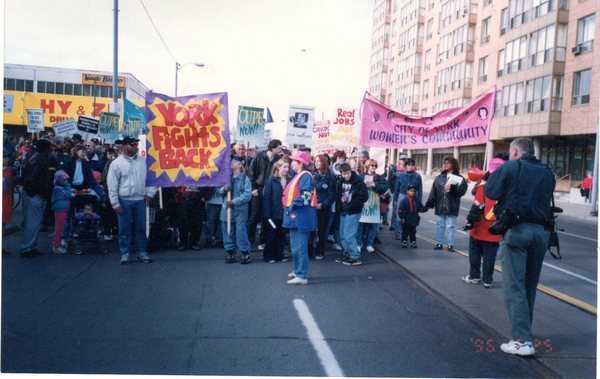 Photo taken during the Metro Days of Action march.